The Canadian Revenue Agency gets its due one way or another, but they are nothing if not flexible about how their funds are collected, and the voluntary disclosure program (or VDP) certainly shows that the proof is in the pudding. Americans are likely to hide the fact that they have made a blunder on their tax documents or cover up any reticence in disclosures, and sweat it out for the next three to ten years until the statutes of limitations on auditing and collection, respectively, expire. This is in order to avoid stiff penalties and possible criminal proceedings. Canadians, however, need fear no such financial or legal reprisals. Those who come forward to disclose their discrepancies will surely have to pay the piper, but they won’t face penalty or persecution for their mistakes, wayward behavior, or lapse in judgment. This is due to the insightful addition of the voluntary disclosure program to the Canadian tax code. There are several instances in which the use of such disclosure might apply, but the main reason is generally associated with income tax. Other possible uses of the program can be found on the CRA website. As for how to use it, you must meet four requirements. First and foremost, the disclosure has to be voluntary. 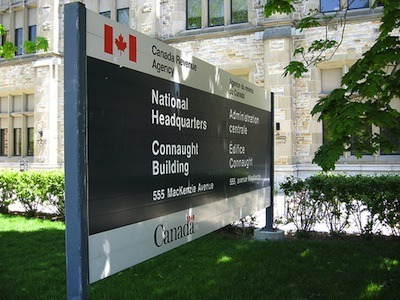 It seems unlikely that coercion to disclose would occur, but it’s likely that the CRA doesn’t want to find themselves facing some sort of legal action from a citizen claiming that they were intimidated into disclosing by a government official. Secondly, the disclosure must be complete. In other words, you can’t claim that you forgot to disclose $4,000 worth of income only to have it found out later that it was actually double that amount (in which case you would no doubt be susceptible to penalties). Next, the reason for filing must involve a penalty. For example, a non-taxable gift from your granny would not apply because the CRA wouldn’t be collecting tax on it anyway. If there is no penalty, then there is no need to engage in the voluntary disclosure program. And finally, the taxable sum that was neglected to be included in a previous income tax filing should be more than one year overdue, which seems pretty self-explanatory since anything less than a year overdue can simply be filed with an extension rather than incurring penalties. Once you have met these four criteria, you can simply download the RC199, Taxpayer Agreement – Voluntary Disclosures Program form from the CRA website, attach relevant documentation (proof of income, etc. ), and file it with the tax services office (TSO) nearest you (or you can have an authorized representative file it for you). Of course, you will also have to pay your taxes, plus interest, so it behooves you to attend to the matter expediently. This service is really only useful if you are a fairly upstanding citizen who has made an honest mistake in filing, since those who have intentionally withheld earnings when filing their income tax are not likely to capitulate. However, considering the complexities involved in filing annual income tax returns, it is commendable that the CRA has recognized the problem and decided to offer this service in order to allow decent citizens the chance to make good without facing penalties. Leon Harris writes for TotallyMoney where you can find information on financial products and browse through 0% credit cards to find the card that meets your needs. However, all these rules don’t apply if you are a current or former politician (e.g. B. Mulroney) or a stinking rich family (e.g the Reichmans).